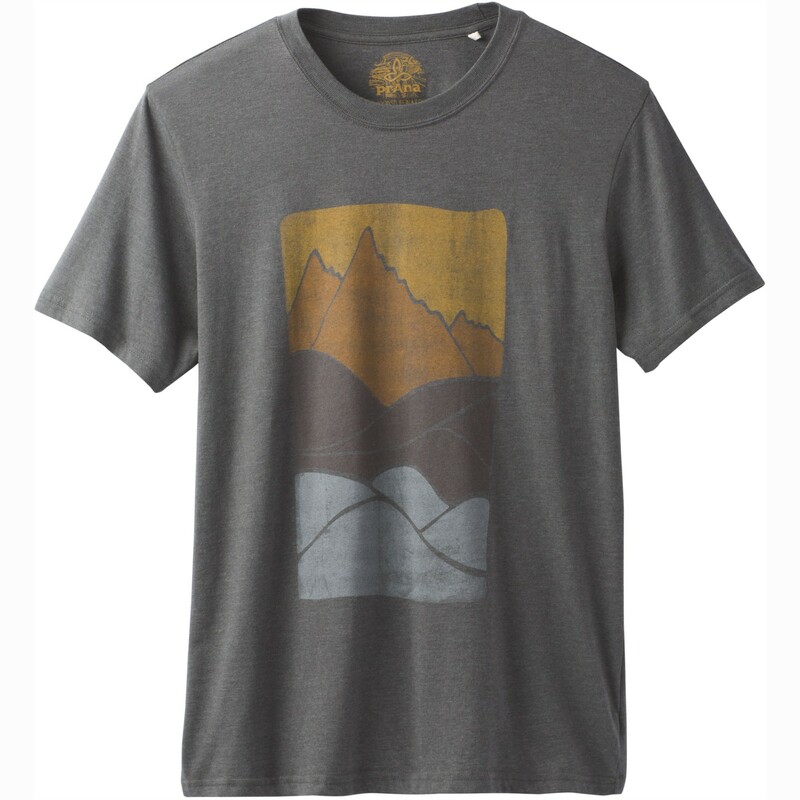 A lightweight poly/cotton tee from Prana, the Ezer T-shirt has a beautiful mountain print on the front. Organic/recycled materials for all you woke people out there. *these measurements are body measurements, not the dimensions of the garment.